Who is the Juki TL-2000Qi Sewing Machine For? If you love to sew, you need a sewing machine. If you love to quilt, you need a quilting machine. But, if you love to do both, you need a machine which can handle both. The Juki TL-2000Qi Full Disclosure: We earn a commission if you click this link and make a purchase, at no additional cost to you. sewing and quilting machine may be just the machine you are looking for. This machine is a high-quality machine which focuses on the basics instead of stretching itself thin with features that you are rarely going to use. The adage, quality over quantity, comes to mind. This is a sturdy machine which will take care of all your personal quilting needs as well as your professional quilting needs (if you have any). Let’s take a closer look at what this machine can do. When you are quilting, you need a large working area. The Juki TL-2000Qi Full Disclosure: We earn a commission if you click this link and make a purchase, at no additional cost to you. sewing machine steps up to the mark with a 13-inch extension table which can be easily attached and detached as needed. If you are working on large projects, and with quilting, the projects can become really big, the extension table is a very welcome addition. When we tried out the sewing machine, we did not find a project which was too big for this machine. We also like that you can spread out even if you are doing smaller projects. The extension table can get in the way at times, but we did not mind that when the trade-off was more workspace. Four presser feet are included with this sewing machine. You have a darning/free-motion foot, a straight-stitch foot, a quilting foot, and a walking foot. Not only are the feet easy to switch in and out, but they also mean you can handle a wide variety of fabrics. You can move between different fabric weights and thicknesses where other machines on the market can struggle. Every good sewing machine should come with a good instruction manual; this is a good sewing machine, so of course, it comes with a good instruction manual. The troubleshooting guide is especially helpful should you run into a problem. The needle up-and-down controls can be manipulated automatically or manually, depending on your project. This makes it easy to change your stitching direction. An automatic needle threader is a welcome addition to any sewing machine and will allow you to set up for your projects with minimum fuss. LED lamps keep your work visible no matter what the light levels are. LED lights are also better for your eyes, especially through long-term use. They also last a lot longer than regular bulbs and do not get as hot. Not only do you benefit from multiple bobbins in the box, but also from them being standard size. You have all the bobbins you need to get started as soon as your machine is set up and, if you do need to find replacement bobbins, they are easy to find and replace. There are times when you want to raise and lower your presser foot, especially when you are doing quilting projects. At times like these, you either do not want to stop what you are doing, or you want to leave your hands free. A knee lever allows you to raise and lower the presser foot by pressing it with your knee. No more injured fingers from getting in too close to the needle. Any sewing machine with an automatic thread cutter is doing well, in our opinion. All modern sewing machines should come with one, but you would be surprised at how many do not. Thankfully, this one does. There are sometimes where a lack of thread cutter is a deal-breaker for us. There are not hundreds of stitch options like some other machines have, but sometimes that is not what you want. What you do want is variety, and this machine does give you that. There are 6 length options for each stitch, and it is very easy to move between each length option with the turn of a dial. If you are layering fabrics or working with different weights of fabric, this can be a lifesaver. This is a sturdy machine which has great stitch quality. When we compared this machine to similar machines on the market, the quality of stitches was above and beyond what you can get for a similar price. We like the consistency you get with this machine, especially with large quilting projects. You will also find that the machine is fast, and those large quilting projects are completed in no time. 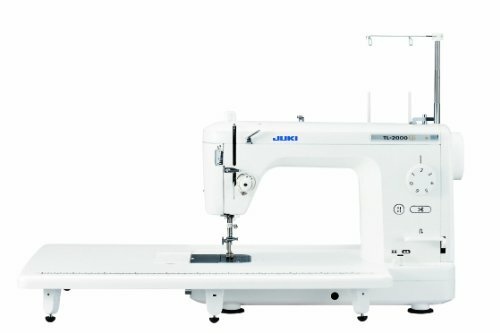 If you run a business from home or have a lot of quilting to do, then the Juki TL-2000Qi Full Disclosure: We earn a commission if you click this link and make a purchase, at no additional cost to you. is the perfect machine for you. It is basic enough to handle simple quilting and sewing projects without a lot of fuss, yet sturdy enough to handle your larger projects too. If you are serious about quilting, then this machine is a good place to start. 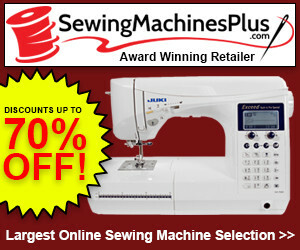 If you are looking for a dedicated sewing or quilting machine, this machine is not for you. There is a compromise here between sewing and quilting, so there is going to be something lost as the two are combined. The machine is fine for quilting as a home business, but if you are getting into high-volume quilting, you would be better off investing in a better quilting machine. If you want a machine which can do it all – sewing and quilting – this machine is great. The only reason we would offer an alternative is if you wanted to focus solely on one of these aspects. 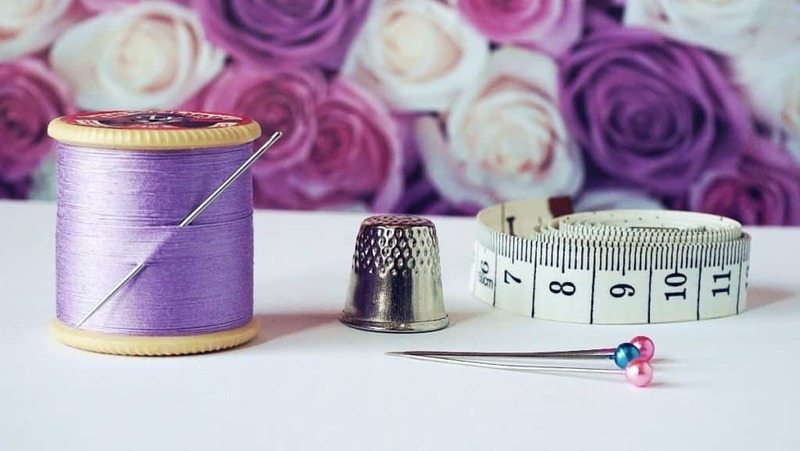 If you want to sew, then look at the sewing machine options out there. If you want to quilt, then see what the quilting machine options are. This machine comes with the most-needed accessory for quilting, and that is the larger working area. If you want to upgrade, you could invest in a larger table for even bigger projects. If you are working on a lot of large projects or working with heavy fabrics, we would also recommend investing in some replacement needles. Needles always wear out, and you can never have too many spares. If you are looking for a sewing machine which can handle all of your regular sewing projects while being useful for quilting too, then the Juki TL-2000Qi Full Disclosure: We earn a commission if you click this link and make a purchase, at no additional cost to you. is the machine you need. The machine is strong and tough and will give you consistent stitches every time. We love the large work table which comes with this machine, letting you work on large quilting or sewing projects. The table is also easy to attach and detach so you can move between small and large projects with ease. A great machine for all user levels. The Juki TL-2000Qi sewing machine came in at #7 in our Best 12 Sewing Machines List. Here’s the full list, including the other 11 sewing machines. The following links will take you to the review of each machine. Juki TL-2000Qi Full Disclosure: We earn a commission if you click this link and make a purchase, at no additional cost to you.